On Saturday 23 September 2017 Venice Agendas: The Contract took further performances of Monica Ross' Acts of Memory, and new commissioned performances and projects by artists selected through an international open call to Folkestone. Echoes is a relay of one person’s protest, realised through individual performances testifying to the idea of equality through individually different ways of expression. Accompanying an original soundtrack by Young In Hong (which is audible only to the performer), each participant improvises a live response. 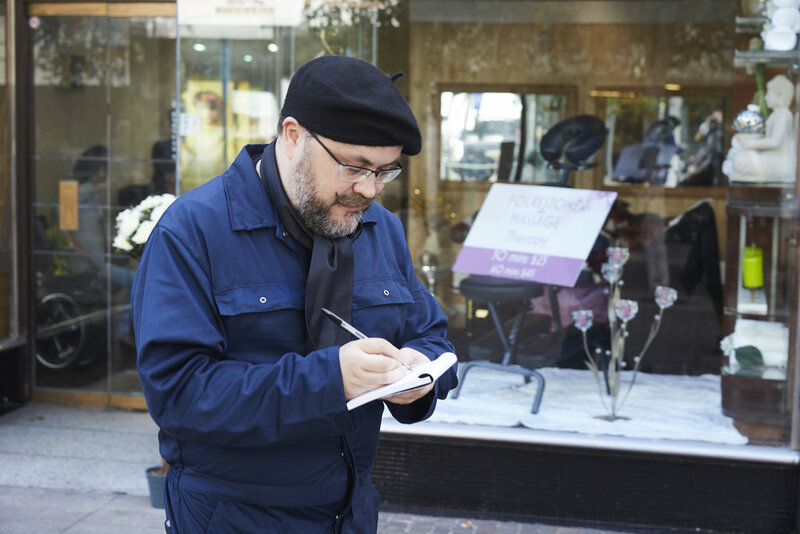 Zero Hours is an open score vocal piece based on a standard zero hours employment contract. 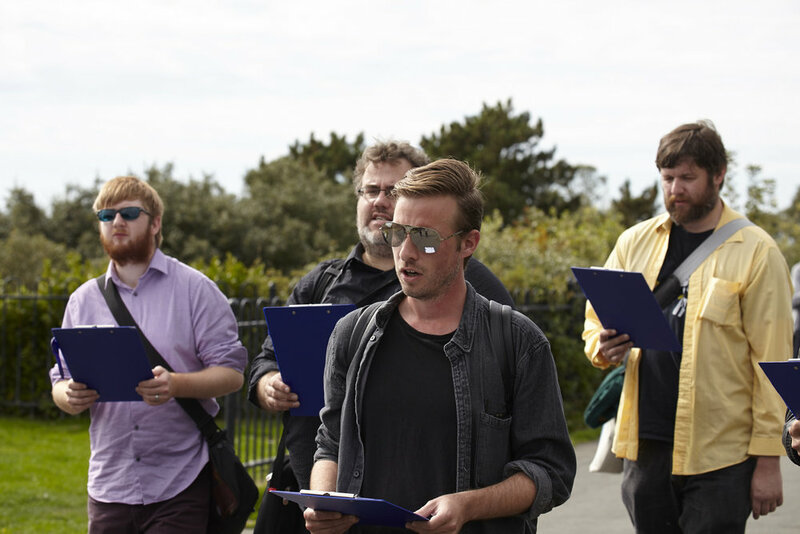 Athelstan Sound Ensemble is a group of improvising musicians and non-musicians based in Margate, Kent. The group has an open membership and has performed at the Contrapop Festival in Ramsgate, Turner Contemporary in Margate amongst other venues. The group champions a speculative and holistic approach to the production and reception of sound, often collaborating with choreographers, writers and visual artists. Occupy Folkestone is a participatory performance where the public are invited to take part in a protest choreography workshop developed from the Occupy Wall street movement. The Disability Discrimination Act (DDA) passed in 1995, was the first significant anti-discrimination legislation for disabled people in the UK and was the culmination of huge mobilisation by disabled people calling for comprehensive social rights. However, in its recommendations that ‘reasonable adjustments’ be made for social inclusion, in the 10 years immediately following the Act the employment rates of disabled people in fact fell. Williamson takes the DDA’s perceived failings as the basis for manifesting it as a public document by (badly) singing it. 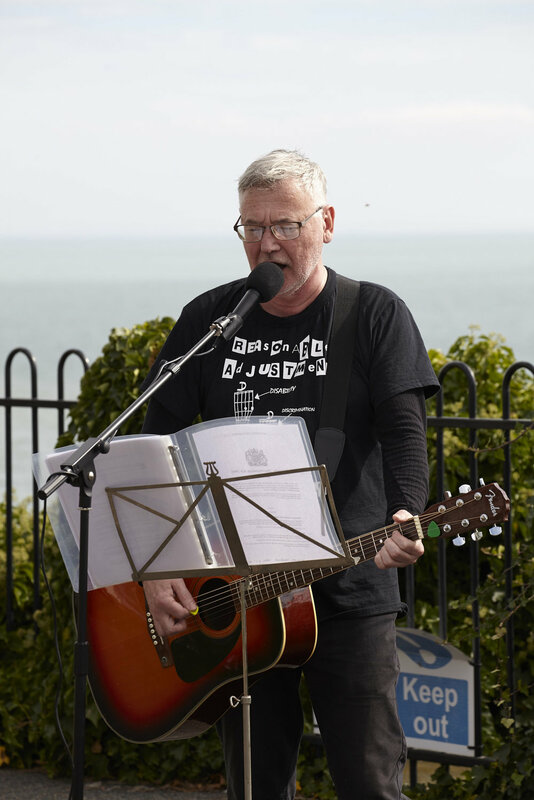 Taking to the streets of Folkestone as a busker, the artist will strum a rudimentary D-D-A chord structure whilst delivering some 30 pages of the Act as an improvised ‘song’. Audiences were invited to participate in the recitation of the Universal Declaration of Human Rights as part of Monica Ross’ work Act of Memory. There are 30 Articles in the Declaration. Participants chose one (or more) article, in a language of their choice, and memorised it. The memorisation didn't have to be word perfect. The emphasis of the recitation is on the attempt, and the difficulty, of being able to meet the Declaration's call to constantly "keep it in mind" and the challenge of being able to voice or act on it especially when under pressure. The matter of 'no rehearsal' is very important.